The subjunctive is a mood: a grammatical term which describes the subject’s attitude. The subjunctive is a mood which expressing wish, hope, fear, uncertainty, and other attitudes or feelings toward a fact or an idea. Often, 2 different people are involved: the first one wanting/hoping/ fearing… that the other one does something. Sometimes, it is an expression which is followed by the subjunctive, such as “il faut que”. You will need to memorize by heart which expressions are followed by the subjunctive (versus the expressions followed by the indicative). In English, the subjunctive is very rare (I wish I were with you). In French, it is quite common. However, if you are a beginner, I would not worry about the subjunctive right now but concentrate on the tenses of the indicative. This is a long lesson. I suggest you take your time to go through it, let the concepts sink in, and bookmark it for future reference. You won’t conquer Subjunctive in one reading! 2. 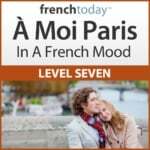 How To Memorize the French Subjunctive? In my opinion, to memorize your French irregular Subjunctive forms, drilling with audio is the only solution: you need to create reflexes, “hear” the form in your head. 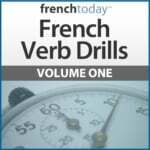 Concentrate on the most common verbs : aller, être, avoir, prendre. This is pure memorization, it has nothing to do with understanding, so I won’t talk about it here. The conjunction that is followed by the subjunctive is mostly “que”. Other conjunctions like “quand” and “si” don’t use the subjunctive. So you only have to worry about using the subjunctive when you are about to say a sentence using “que” (most cases) or “qui”. (Ok… there are a bit more with the superlative constructions… “le seul endroit où je ne sois jamais allé” for example… this is quite advanced so I won’t talk about it here. Please just remember the large majority of subjunctive cases are going to be with “que”). At least two people = “person A” doing the action, “person B” wanting/ wishing / ordering / fearing that “person A” does this action. So, if the same person is doing both actions, or if it’s a general statement concerning everybody, you can avoid the Subjunctive and use an infinitive construction. You can use a subjunctive clause in a question, for example « Voulez-vous que je vienne avec vous? », but there is no way to turn a subjunctive clause itself into a question. Now that the ground rules are established, let me explain in details the French Subjunctive. What follows works most of the time, I’m sure you’ll find exceptions, but I hope it helps making most cases clearer. – One person influencing/having feeling for a DIFFERENT person’s action. Je veux que tu fasses la vaisselle. I = first person, want = verb of influence, you = different person, do the dishes = the action the first person is trying to influence. Je suis contente que tu fasses la vaisselle. I = first person, am happy = feeling, you = different person, do the dishes = the action the first person has a feeling about. – The percentage of chance FOR THE SPEAKER of this wish/fear/order/… becoming a reality. Je constate qu’il est là. But I know his plane is stuck in NY. Probability of my wish becoming a reality is almost zero = subjunctive. If you know for sure it’s the reality = Indicative in French. Over 70% chance of the action becoming a reality = Indicative in French. If there is under 70% chance of the action becoming a reality = Subjunctive in French. So as you can see, the French subjunctive is quite… subjective! Je crois qu’il va partir. I’m positive about it. Say 90% he’s going to leave = indicative. Je désire qu’il parte. But he really wants to stay… so there is only a 2% chance he is going to leave = subjunctive. Regarde! Une maison avec un toit orange au milieu d’un grand jardin. I am actually looking at this house. 100% chance of the house existing = indicative. 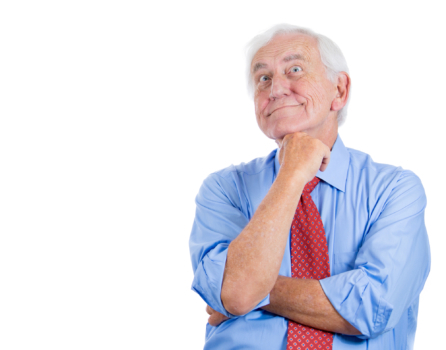 Watch out: “I don’t think he will come” is not the same thing as “I think he will not come”…. You have to keep the action you are talking about very clear, and make sure you are applying the negative the the correct part of the sentence and not changing your sentence altogether. The “ne” here has no negative value. It’s a rather formal concept, called “le ne explétif” and it comes with verbs of fear and some expressions. Here it helps to understand that French people take their beliefs for a reality (LOL). Verbs like croire que, penser que, supposer que, imaginer que, espérer que are followed by the indicative = that is logical because you do trust that it is the truth. But souhaiter que is followed by the subjunctive…. Honestly, I think it’s stupid, and makes no sense. Maybe it’s to reinforce the difference between hopes and believes? These, you need to learn by heart. As I explained before, you can avoid the subjunctive with some of them by making a general statement and using an infinitive construction (il faut manger ≠ il faut que vous mangiez). Avant Que + Subjunctive BUT Après Que + Indicative !!! “Avant que” is followed by the subjunctive = it’s logical, there is a notion of uncertainty: you won’t know for sure beforehands. However, “après que” is followed by the indicative – logical again, now you know for sure. En général, je pars après qu’il vient. Although many French people use the subjunctive – myself included… It’s a mistake but a very common one: the indicative sounds awful there… I wouldn’t be surprised if this rule actually changed to allow the subjunctive in the near future. En général, je pars après son arrivée. There are several ways of avoiding the Subjunctive in French. If you used a noun instead of a verb, there would be no problem at all… this applies mostly to “avant que”. Il finit avant le départ de sa femme (instead of Il finit avant que sa femme ne parte). Instead of applying your sentence to one specific person, make a general statement. What is the Best Way to Understand French Subjunctive? The best way to develop a feeling for when to use the French Subjunctive is to learn it in context. Check out French Today’s downloadable French audiobooks: French Today’s bilingual novels are recorded at different speeds and enunciation, and focus on today’s modern glided pronunciation. I hope this long lesson make things clearer about the French Subjunctive. If you like it, share it on your social medias – it’s a huge help for us! Subscribe to my newsletter, Facebook, Twitter and Pinterest pages to be informed of new releases and get in touch with me.